Coach John has really made a difference in my training. He has help me to raise my power output two-fold. When I first met coach John I told him the goals that I had set for my season. He worked diligently and created a training plan that would allow me to go into my races in the best form I could be in. By coach John doing this he helped me to win my second national championships and he is helping to get in form for my second goal of the season which is going along very well. I am really looking forward to continue working with coach John. His experience and expertise are top notch. I got in touch with John 3.5 years ago now, and in that time, I have gone from a mid-pack cat 5 racer to racing elite level UCI and national events. I can attribute a lot of this success to John’s abilities as a coach. John is incredibly adaptable and is always willing to work with my busy school and work schedule. This is very important and allows me to get the best training I can in the time that I have. The coaching and workouts are top-notch; I always feel like there’s an interesting new workout, even in the depths of the Canadian winter. He can answer any questions that I have, and I have learned so much from him. I value his input and it has no doubt made me a better cyclist. Often times, John is more on top of my training and race schedule than I am. He always makes sure that I am looking ahead and keeping my goals in mind to help keep me motivated. He makes sure every aspect of my training is covered, on and off the bike. I have gone injury-free for the entire time I have worked with John and that is the mark of a good coach. In short, I cannot recommend John Cheetham highly enough. His expertise, patience, and adaptability make him a fantastic coach. John has been a huge help to me in getting into cycling shape after a minor running injury. Since I couldn’t continue training for a marathon, I thought I’d try cycling, but after a couple of months on my own as a complete newbie, I decided I needed help. I chose John after speaking with a dozen coaches because not only did he have all the credentials and experience I was looking for, he was the most responsive to my questions. 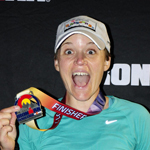 I also chose John because, although I’m finding cycling more forgiving for my 58 year old body, my bucket-list goal is to run the Boston Marathon when I’m 60, and John is well qualified to help me attempt to reach that goal as well. John continues to be super responsive, helpful, supportive, and flexible as I try to maintain my workout schedule while balancing family obligations, travel, and often long work days. 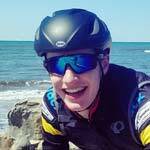 With his workout and nutrition advice, I’ve been able to successfully complete a couple of metric century rides, two rides around lake Tahoe, and have lost weight. Bottom line is: I highly recommend John. 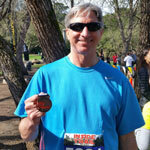 I have been an endurance athlete for 25 years, mostly self-­coached. I started working with John in January 2014 after buying a power meter. He worked with me to develop a power training profile and then to create a training plan to meet my goals for the year. John has helped me push through to a new level of riding and racing. He is a superb communicator and gives feedback on almost every workout as well as tactical coaching before races. My hard days are very focused and very hard, my rest days are very easy and I have been racing at a much higher level than ever before. I placed 5th at the Santa Cruz Criterium, 4th at Copperopolis and 2nd at Wente Road Race this year before finally clinching the win at Cat’s Hill Criterium. John is a fun guy to work with and a great coach. 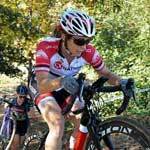 After being a multisport athlete for over 15 years from sprint to Ironman distance races, I decided to transition to bike racing in 2012 after an injury sidelined me from run training. 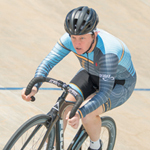 John has been instrumental in my development as a cyclist as I moved up the ranks, helping me identify my strengths and improve my limiters as a competitive racer. More importantly, he has kept my training sessions focused and eliminated “junk” ­ necessary for this busy, working mom. John has worked with me during various injuries and scheduling difficulties. I like to change focus from multisport to road racing to mountain bike racing all in one season, and with his guidance and power­-specific training he has helped me achieve success across all disciplines. Under John’s training, I won the silver medal at Master’s Nationals in criterium in 2013, a top 5 overall finish in Xterra, first place in the Master’s Women’s NCNCA Series,an Omnium win at Red Kite Racing in the Pro 1/2’s, and recently a California State Championship in XC Mountain Bike.